Classrooms provide extremely varied settings in which learning may take place, including teacher-led conversations, small group unguided discussions, individual problem solving or computer supported collaborative learning (CSCL). 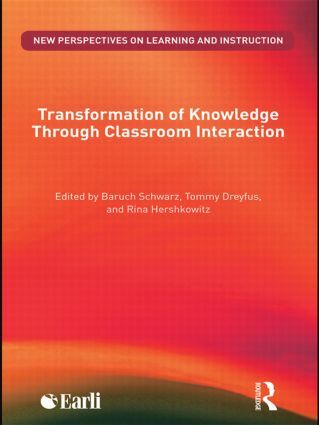 methodologies for tracing transformation of knowledge in classroom interaction. Bringing together a broad range of contributions from leading international researchers, this book makes an important contribution to the field of classroom learning, and will appeal to all those engaged in academic research in education.